After three and a half years we have had to make some adjustments and increases to our prices. All information is listed on our services page. 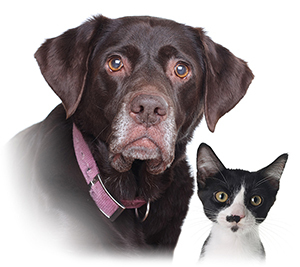 We will continue to provide you with the respectful and dignified service your pet deserves. Thank you, Jamie Hanel. It is never easy to lose a beloved companion animal. Making the necessary arrangements ahead of time will help to ease the burden. Please take a moment to fill out our final wishes care form. We at Pet Heaven are animal lovers and pet parents ourselves, and will treat your pet with the dignity and respect that a faithful pet deserves. We have been proudly offering pet loss services in the community of Calgary and surrounding area for more than 10 years. Our caring staff are available for immediate pick-up from your home, hospital or veterinary office 24 hours per day and 7 days per week. "Your beloved pet will stay in our compassionate care." All pets, placed in our trust are transferred to our facility with care and respect. Small pets are transported in a basket wrapped within a blanket and larger pets are blanketed on a stretcher. You can count on us always, to be transparent and open about our processes and prices. All cremations are performed on-site at our Calgary office by our family of dedicated pet parents should you choose private cremation or communal cremation. When the time is near or you just need to talk. When you need assistance with pre-arrangements. When you need help with meaningful tribute ideas or to help you choose an urn or keepsake item should you wish to memorialize your faithful pet. When you need us for all of your questions and to help you make informed decisions for your faithful friend. Our home is yours. Should you wish to bid your final goodbyes away from your own home we offer our on-site Family Room where you may spend time with your beloved pet, pay tribute or have a memorial service before cremation if you so desire. © 2019 Pet Heaven Crematorium and Funeral Chapel. All Rights Reserved.